New installations of paldo use systemd-boot as UEFI boot loader. Existing installations of paldo using GRUB as BIOS boot loader will continue to be supported. This also affects the downloadable paldo live images. They are now UEFI disk images and can be booted on any UEFI x86-64 system. We are pleased to announce that GNOME 3.30.0, LibreOffice 6.1.1, Firefox 62.0, Linux 4.18.7, glibc 2.28, and gcc 8.2 are now available in paldo stable. We are pleased to announce that GNOME 3.28.0, LibreOffice 6.0.1, Firefox 59.0.1, Linux 4.15.10, glibc 2.27, and gcc 7.3 are now available in paldo stable. We are pleased to announce that GNOME 3.26.0, LibreOffice 5.4.1, Firefox 55.0.3, Linux 4.13.2, glibc 2.26, and gcc 7.2 are now available in paldo stable. We are pleased to announce that GNOME 3.24.1, LibreOffice 5.3.1, Firefox 52.0, Linux 4.10.10, glibc 2.25, and gcc 6.3 are now available in paldo stable. We are pleased to announce that GNOME 3.22.0, LibreOffice 5.2.0, Firefox 49.0, Linux 4.7.5, glibc 2.24, and gcc 6.2 are now available in paldo stable. We are pleased to announce that GNOME 3.20.1, LibreOffice 5.1.2, Firefox 45.0.2, Linux 4.5.1, glibc 2.23, and gcc 5.3 are now available in paldo stable. We are pleased to announce that GNOME 3.18.1, LibreOffice 5.0, Firefox 41.0.2, Linux 4.2.3, glibc 2.22, and gcc 5.2 are now available in paldo stable. We are pleased to announce that GNOME 3.16, LibreOffice 4.4, Firefox 36, Linux 3.19.3, and glibc 2.21 are now available in paldo stable. We are pleased to announce that GNOME 3.14.1, LibreOffice 4.3.2, Firefox 33, Linux 3.16.6, glibc 2.20, and gcc 4.9 are now available in paldo stable. We are pleased to announce that GNOME 3.12, LibreOffice 4.2, Firefox 28, Linux 3.13, and glibc 2.19 are now available in paldo stable. The paldo Live and Rescue CD images are now built as hybrid ISO images. You can write them to a CD or a USB stick to install or test paldo GNU/Linux. We are pleased to announce that GNOME 3.10, LibreOffice 4.1, Firefox 24, Linux 3.11, and gcc 4.8 are now available in paldo stable. We are pleased to announce that GNOME 3.6, LibreOffice 3.6.1.2, Firefox 16.0.1, Linux 3.6.2, and gcc 4.7.2 are now available in paldo stable. We are pleased to announce that GNOME 3.4, LibreOffice 3.5, Firefox 13, Linux 3.4, gcc 4.7, and glibc 2.16 are now available in paldo stable. We are pleased to announce that GNOME 3.2, LibreOffice 3.4, Firefox 7, Linux 3.0, and glibc 2.14 are now available in paldo stable. We are pleased to announce that LibreOffice 3.3.2, gcc 4.6.0, glibc 2.13, and Python 2.7.1 are now available in paldo stable. We are pleased to announce that GNOME 3.0.0, Firefox 4.0, Linux 2.6.38.3, and systemd v24 are now available in paldo stable. We are pleased to announce the release of paldo 1.22 with many bug fixes and updates. We are pleased to announce the release of paldo 1.21 with many bug fixes and updates. We are pleased to announce the release of paldo 1.20 with many bug fixes and updates. We are pleased to announce the release of paldo 1.19 with many bug fixes and updates. We are pleased to announce the release of paldo 1.18 with many bug fixes and updates. We are pleased to announce the release of paldo 1.17 with many bug fixes and updates. We are pleased to announce the release of paldo 1.16 with many bug fixes and updates. We are pleased to announce the release of paldo 1.15 with many bug fixes and updates. It features the latest stable GNOME 2.22.3 desktop, OpenOffice.org 2.4.1, Firefox 3.0.1, Eclipse 3.4, and VirtualBox 1.6.2. Also included are Linux kernel 2.6.25.15 to support new devices, X.org 7.3, updated proprietary drivers for NVIDIA and AMD graphic cards, and Wammu 0.27 to simplify cell phone synchronization. NetworkManager 0.7 enables easy internet connections with GSM/UMTS and DSL. With SMPlayer 0.6.1 playing videos and DVDs has a new comfort. The easy-to-use graphical installer has been updated to make the installation from the Live CD as simple as possible. All packages have been rebuilt with the updated toolchain: GCC 4.3 and glibc 2.8. We are pleased to announce the release of paldo 1.14 with many bug fixes and updates. 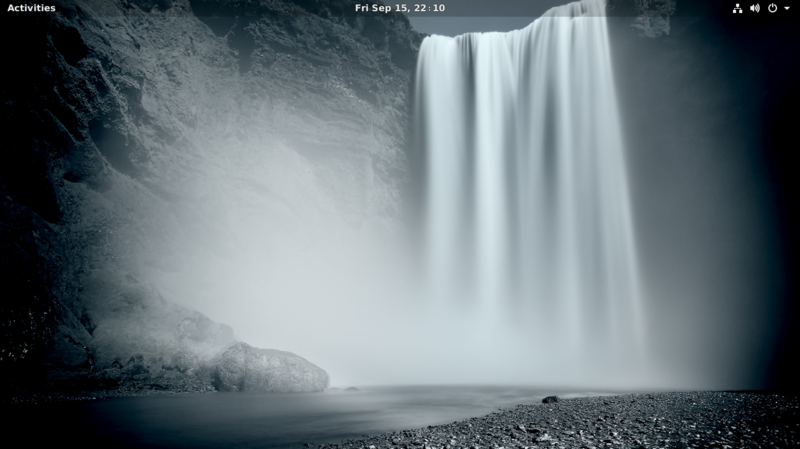 The kernel has been updated to linux 2.6.24 to support the latest technologies and drivers. paldo 1.13 has been released with many bug fixes and updates. Due to extreme network resource consumption we had to limit bandwidth for http traffic pretty drastically. Update (15 Nov 2007): paldo.org has moved to a new server and the bandwidth limit has been removed. paldo 1.12 has been released with many bug fixes and updates. paldo 1.11 has been released with many bug fixes and updates. Due to extreme resource consumption we needed to shut down the trac service. We apologize for the inconvenience and hope we can put it back on soon. We have included the two closed-source NVIDIA drivers for their legacy chips into testing branch. The paldo Xorg start script should automatically detect which driver to use. Everyone who has installed those drivers by hand may safely remove them now. For those who used the "nv" driver and whish to make use of the 3D hardware acceleration may replace that with "nvidia" (in /etc/xorg.conf). The paldo Xorg script will automatically link in the correct OpenGL implementation. paldo 1.10 has been released with many bug fixes and updates. With Xfce 4.4 a second desktop environment found its way into paldo. paldo 1.9 has been released with many bug fixes and updates. paldo 1.8 has been released with many bug fixes and updates. paldo 1.7 has been released with many bug fixes and updates. After a short delay, paldo 1.6 has been released with many bug fixes and updates. paldo 1.5 has been released with many bug fixes and updates. After a short delay, paldo 1.4 has been released with many bug fixes and updates. paldo 1.3 has been released with many bug fixes and updates. paldo 1.2 has been released with many bug fixes and package updates. Locales have been separated into packages for each language. Booting from software RAID partitions is now possible. Added Beagle, a desktop search tool. Added Evince, the new GNOME document viewer. Leaded to removal of gpdf and acroread (acroread is still available as a package). Updated whole HP printing system. paldo 1.1 has been released with many bug fixes, package updates and the fully modular initramfs kernel. This kernel was now moved to testing! Please do as many tests as possible. Finally, after months of hard work, we finished paldo 1.0. Go and install this fresh and new Linux distribution!